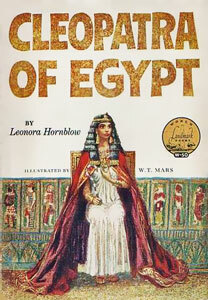 No other books for children have so compellingly told the often exciting story of history than the Landmark book series published by Random House (roughly 4th through 7th grades). There will be no “twaddle” found here. 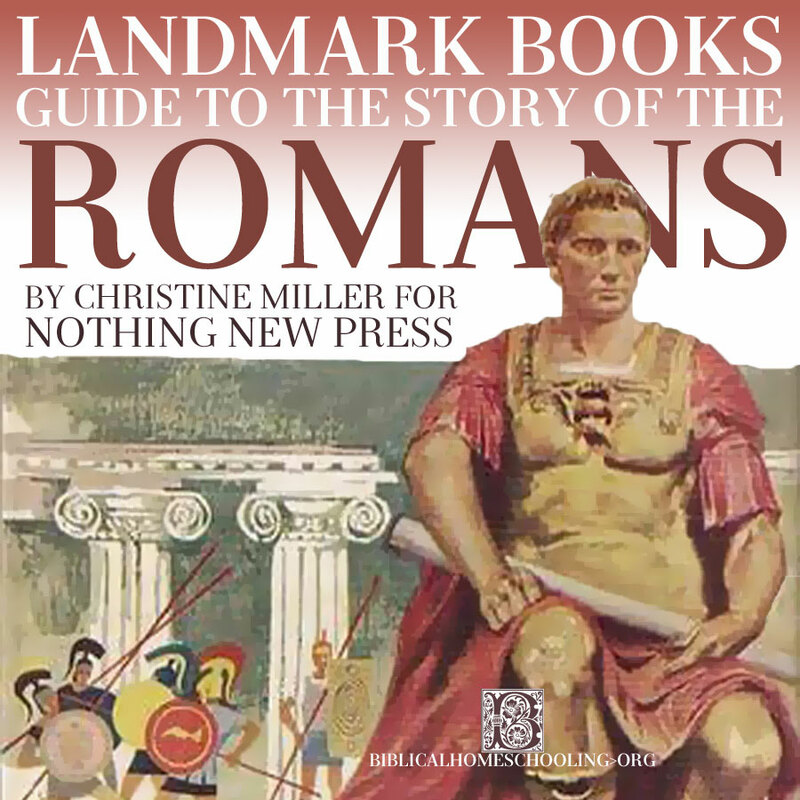 The appropriate Landmark books are here keyed to their matching chapters in The Story of the Romans. 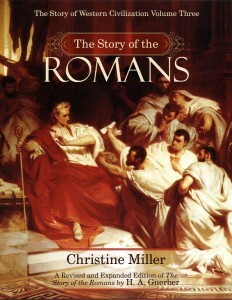 Romans chapter LXII., The Conspiracy of Cataline, through chapter LXVI., The Death of Caesar. 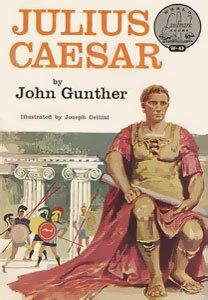 The same biographer who wrote the acclaimed Alexander the Great for Landmark, John Gunther once again breathes life into an important, larger- than- life figure of Western history so that he can be grasped by children, and yet without dumbing him down or treating him childishly. Caesar was a pivotal figure in the history of Rome, who oversaw its transition from a republic to an empire. Children blessed enough to read this book will also grasp how that transition was made. Romans chapter LXIX., Antony and Cleopatra, and Romans chapter LXX., The Poisonous Snake. She was a legendary beauty, even in her own day, and sought to unite three civilizations: the ancient Egyptian and classical Grecian, with the rising star of Rome. She ultimately failed, but hers was a key chapter in the outcome of empire for Rome. Romans chapter LXXI., The Augustan Age, through chapter LXXII., The King of the Jews, and chapter LXXVI., Tiberius Smothered. I encourage you to read the whole critique. I recommend, in the place of this book, The Gospel of Luke from the New Testament, as the only Gospel written chronologically, as we would expect from a biography. Romans chapter LXXX., The Christians Persecuted. This Landmark is subject to the same praise for its beautiful retelling, but the same concern for its departure from the historical record, as Fosdick’s Jesus of Nazareth. I recommend, in the place of this book, The Acts of the Apostles from the New Testament, also written by Luke. Another wonderful narrative history covering the life of the Apostles and Paul, and the first centuries of the Church for children, is Fire Upon the Earth by Norman Langford (this book, while it starts with the life of the Apostles, continues past the age of the Reformation).